"The Question of Mercy: Reflections on African American Literature from Phillis Wheatley to Toni Morrison"
This lecture will focus on an exploration of the 18th century prodigy poet Phillis Wheatley and Toni Morrison's novel A Mercy (2008) to meditate upon the meaning of mercy. In the United States, a nation founded on principles of human freedom and the reality of chattel slavery, who is most in need of mercy? Who grants it? What is the role of mercy in the pursuit of justice and freedom? 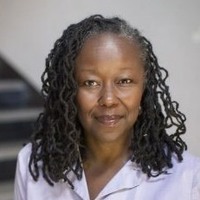 Farah Jasmine Griffin is Chair of African American & African Diaspora Studies, Director of the Institute for Research in African American Studies, and the William B. Ransford Professor of English and Comparative Literature and African-American Studies at Columbia University. She is also Affiliate Faculty of the Center for Jazz Studies. Professor Griffin received her B.A. from Harvard, where she majored in American History and Literature and her Ph.D. in American Studies from Yale. Her major fields of interest are American and African American literature, music, and history. She has published widely on issues of race and gender, feminism, jazz and cultural politics. Griffin is the author of Who Set You Flowin? : The African American Migration Narrative (Oxford, 1995), Beloved Sisters and Loving Friends: Letters from Rebecca Primus of Royal Oak, Maryland, and Addie Brown of Hartford Connecticut, 1854-1868 (Alfred A. Knopf, 1999), If You Can’t Be Free, Be a Mystery: In Search of Billie Holiday (Free Press, 2001) and co-author, with Salim Washington, of Clawing At the Limits of Cool: Miles Davis, John Coltrane, and the Greatest Jazz Collaboration Ever (Thomas Dunne, 2008). Her most recent book is Harlem Nocturne: Women Artists and Progressive Politics During World War II, published by Basic Books in 2013. Griffin collaborated with composer, pianist, Geri Allen and director, actor S. Epatha Merkerson on two theatrical projects, for which she wrote the book: The first, “Geri Allen and Friends Celebrate the Great Jazz Women of the Apollo,” with Lizz Wright, Dianne Reeves, Teri Lyne Carrington and others, premiered on the main stage of the Apollo Theater in May of 2013. The second, “A Conversation with Mary Lou” featuring vocalist Carmen Lundy, premiered at Harlem Stage in March 2014 and was performed at The John F. Kennedy Center in May of 2016. Griffin’s essays and articles have appeared in Essence, The New York Times, The Washington Post, The Nation, The Guardian, Harper's Bazaar, Art Forum and numerous other publications. She is also a frequent radio commentator on political and cultural issues. This lecture is free and open to all. It will be located in the Wren Room (Sanborn 104), Sanborn House, Dartmouth College, 19 N. Main Street, Hanover, NH.